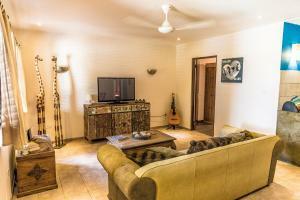 Super cosy and secluded, with great little pool on the lush garden. The room was simple but spacious and comfortable. Loved the outdoor shower, the mosquito net above the bed (comes super handy!) and the communal mini fridge with beverages which you can use at your own discretion and pay later. Everthing great service upon check in Studio apartment clean comfortable kitchen full equiped nice garden and safe starting from the entrance gate. Great location nearby walking distance beach Overall awonderfull. This is a sweet little property, put together in a very pleasant and artistic way. I liked the location a lot - it has great access to the beaches south of the airport, yet is a short enough drive to downtown and is also convenient to the east side of the island. The cooking facilities were nice - the equipment was fine with plenty of gear for cooking most of our meals for a week on the classy smooth top electric stove. The blender was broken but eventually replaced with a functioning unit. The swimming pool was a great place to splash around and relax after a day of snorkeling and sightseeing. I especially appreciated the outdoor shower by the pool for rinsing off sand and salt before jumping in. All the furniture in our unit and in the public areas was sturdy and attractive. The place looks pretty much like it shows in the photos, perhaps even better in person. Excellent lodging. Joris is a very accommodating & wonderful host. The 2 Room Chibi was beautifully updated, very clean & comfortable. Location is close to town & there is convenient parking. Pool area was beautiful, comfortable & refreshing. Very quiet & nice area. We enjoyed the place. Good for individuals, no big site, friendly young hosts. Nice enough, no overdone luxury. Nice public pool & relax area, appartements with character & style. Good offer with family like character and a lot of little beautifull details. The views. The balcony. The pool and garden.And Joris was very helpful. Respoded quickly to questions and fixed any problems. It was what we expected. Nice appartment and clean. The apartment exhumed the caribbean atmosphere: wooden furniture, not too modern, but very tropical. We really loved the mosquito net around the bed, because for me it makes it more romantic. Also due to the beautiful high ceilings the net did exactly what it had to do. The pool was fine, but the beach was more important to us, so the location is perfect near the windsurfing beach (Sorobon). 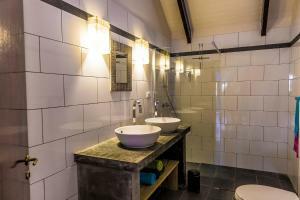 Another important feature for us was the bathroom: modern and very clean. There are enough towels available and even a beach towel is provided for the guests. Furthermore our hosts were very relaxed and welcoming. If you need to change check out times, they are really flexible as long as you're reasonable. I would absolutely recommend this place, also because the price is really fair for the services and location you get. Lock in a great price for Ocean View Villas – rated 9.1 by recent guests! 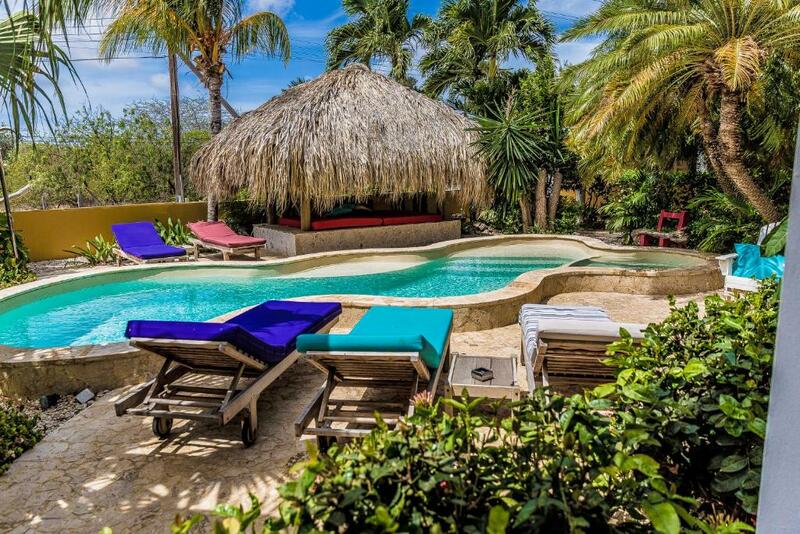 One of our top picks in Kralendijk.This modern-style property located 1.4 mi from Flamingo Airport has a swimming pool, free Wi-Fi access and an outdoor patio. Free parking is also available. The comfortable accommodations at Ocean View Villas offer air conditioning, cable TV with a DVD player, equipped kitchen that includes coffee maker and a microwave, plus ironing facilities. The bathrooms have showers. Guests at Ocean View Villas will find a supermarket 2.9 mi from the property, and there are several restaurants available within 3.1 mi, like Cactus Blue and Patagonia Argentinian Restaurant. The Bonaire Museum is 3.1 mi from the property, and the Bonaire National Marine Park can be reached in a 5-minute drive. Some popular activities in the area are diving, snorkeling and swimming in the sea. This property is also rated for the best value in Kralendijk! Guests are getting more for their money when compared to other properties in this city. When would you like to stay at Ocean View Villas? This apartment features air conditioning and 1 queen-sized bed. This apartment features air conditioning and an equipped kitchen. This studio has a toaster, private entrance and kitchenware. This apartment has a toaster, air conditioning and kitchenware. This studio has a cable TV, stovetop and private entrance. Ocean View Villas is a charming, small apartment and studio complex in the quiet neighbourhood of Belnem. It consists of seven units, all different in size and layout. The variety of rooms ensures you that the complex is suitable for everyone from families to solo travelers! 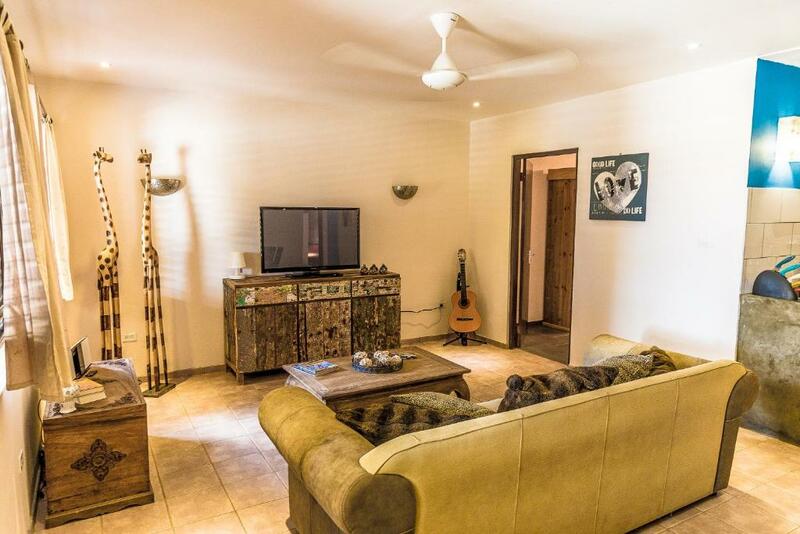 If availability permits, it is also possible to rent all 7 units off the complex that has a beautiful tropical garden with a nice swimming pool with sundeck. All units also have a private outdoor area, like a patio or balcony. From the three terraces on the upper floors, the Caribbean Sea is visible. Transparency and a high service level are our key words on the former Netherlands Antilles. 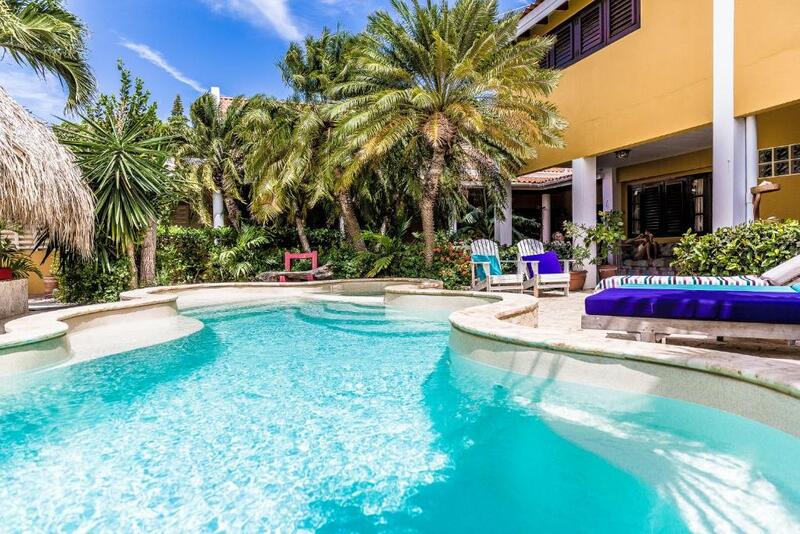 Belnem is an upscale residential neighborhood on one of the most beautiful locations of Bonaire. 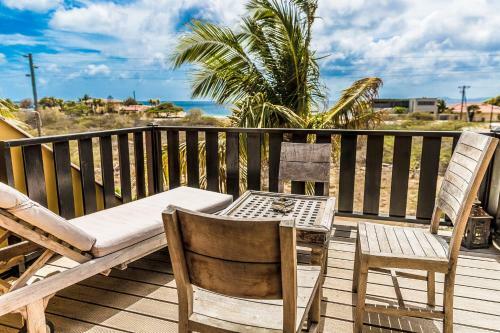 The luxurious look is particularly evident by its location, right by the sea and the buildings: many detached, luxurious bungalows surrounded by gardens and of course Ocean View Villas. The distance to Kralendijk is about 5 km and the airport is just 3 km. In Belnem you will find hardly any shops, restaurants or bars, but just on the edge of Belnem you will find Bachelor's Beach: a very popular but small beach with barbecues for general use, plenty of shade and the ideal place to go swimming, scuba diving or snorkeling. House Rules Ocean View Villas takes special requests – add in the next step! ATM card Ocean View Villas accepts these cards and reserves the right to temporarily hold an amount prior to arrival. Ocean View Villas accepts these cards and reserves the right to temporarily hold an amount prior to arrival. When other guests come back from their outing, you do hear them pass by your room. But all in all the sound was okay. Most of the time people aren't in their room all day long and the people using the facilities were quite silent (young families and couples). Big flat with kitchen, living room kitchen and bathroom and an extraordinary Balkon and view to the sea! Modern design and the best staff! Took care of everything! We can recommend the ocean view villas to everyone, singles, couples as well as families! They provide perfect service (24/7 via what’s app) a nice Bar in the common areas, very nice cleaning ladies how took care of everything! The kitchen has all you need to prepare food at home, snorkel equipment even the best snorkel spot is just 50m away! It’s set back from the main road (but perfect connection to the main parts of the city or tourists spots)! We definitely will come back to this place if We will visit Bonaire another time!! Many thanks! Minor issue: The kids had some skin irritations after using the pool, which made the kids not want to use it anymore. I reported this to Joris and he immediately send a company to look into this and it seemed to have solved things. Things like this can happen and it's good to see they took my complain serious. Room Chibi Chibi. The villa offered surprisingly more services than described; abundance of fresh towels, regular cleaning (several times a week) of the rooms during our stay with fresh sheets, a shared BBQ space that we could use, a really spacious apartment, kitchen with dishwasher/microwave/toastmaker, dive gear washing tubs, additional portable 'cool boxes' for in the back of your jeep (just add ice) and car rental discount included. Location on the island was very convenient with lots of things within driving range. Joris was very friendly *and* helpful. We also happened to meet some really nice other guests on the resort. Having two separate bathrooms was really convenient with the kids. The host was also very flexible in allowing us to use the appartment till late evening on the last day, as we had a late flight going back. Our room was a bit dark, not much light from the outside. Also, quite a lot of cockroaches coming to the garden from the trash area. The back yard of No 2 was small and so was only used for the cloths dryer. The pool and loungers especially the covered lounger bed were excellent. The plants and trees were like being in a tropical garden and screened you from the near by road. There was everything you needed to make a very enjoyable stay. Traffic noise from the street. Problem with mosquitos (inside the apartment) as the mosquito screens were not tight (there were no window panes except for the bedroom, but also there the frames didn't close tight) and there was a constant influx of mosquitos from the staircase. Great, responsive and accommodating hosts. Our's was a spacious, light apartment. Well furnished. TV and WiFi was working well (the latter not so much in the bedroom). Very nice terrace. Kitchen was well equipped. Regular cleaning and (beach) towels. Short walk to the sea (you cannot call it a beach) with easy access to the ocean that offered great swimming and snorkelling. No WIFI in two of the three bedrooms. One bathroom smelled a little (sewer). A bit far to the supermarket so a car is needed. 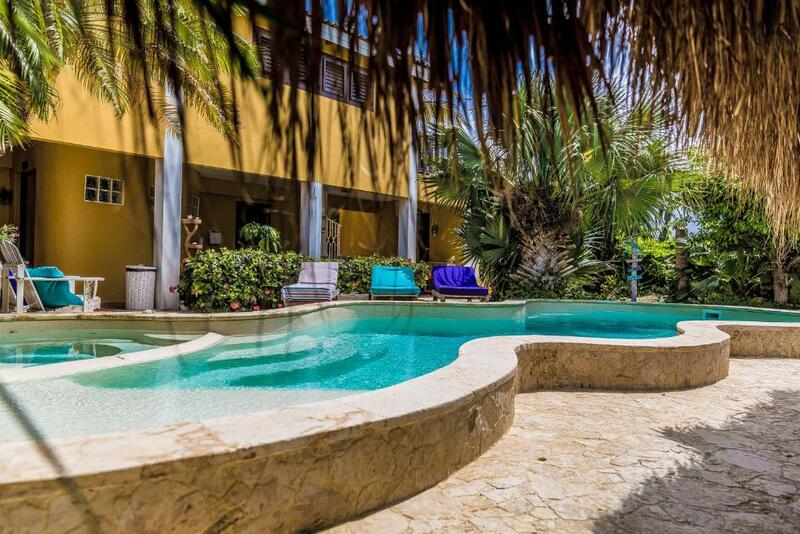 Close to the beach and a small pool with lots of areas with shadow. They had a nice grill for barbecue. Mosquitos...guess this is an unavoidable inconvenience of tropical climate and will always be there. We had a mosquito net installed on our bed but maybe renewing or thicker mosquito nets on the windows/doors would also help when staying in the apartment during the day. We loved staying at Ocean View Villas. We will definitely stay there again if we ever go back to Bonaire. 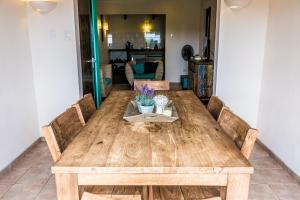 Joris was a great guest and was very attentive to help us with our needs. He picked us up at the airport and took us back at departure. He also recommended places to eat and a scooter rental that delivered the scooter at the apartment. Thanks for everything Joris and hope to see you soon again! There was nothing to complain at. Everything was super clean and very nice. Boris and Joris are really helpful and friendly guys who took very well care of us. They are not always around but if you need any help you can easily reach them via phone/whatsapp. The apartment had a kitchen, living room and bed combined in a single room. Great host. 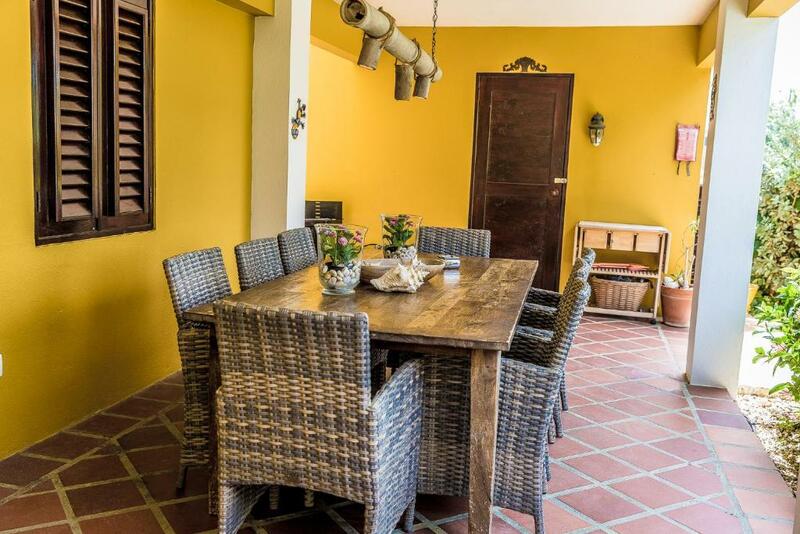 Nice location, close to many beaches. Good value for the money. There was a lovely private outdoor shower in the back of our unit, but unfortunately the handle was broken. I notified management immediately but it never got fixed in a whole week stay. All that was required was a $3.00 handle and a screwdriver. If management had told me the best way to fix it would be to do it myself, I would have gladly done that rather than wait for the promised repair that never happened. The wifi quality in our room was quite bad and concerns about that were never addressed. Bonaire has 100 mbps capacity so I feel management should do whatever it takes to have a first class wi-fi system asap. This means to actually test and monitor performance, not just boot up a router. I can easily see coming back to stay at Ocean View Villas for a month or more, but I'd want the wi-fi fixed and solid first.